Remember the days when a National Geographic subscription was an essential part of the American household? While the recent decline of print media has put a serious dent in the prevalence of this classic publication, it has persevered and still puts out some of the best geographic content in the world. One of the things National Geographic is most known for is its stunning images, as its photographers repeatedly display the ability to present the world in its most beautiful and intriguing form. Naturally, National Geographic photographers have spent a great deal of time capturing breathtaking vistas in the great state of Alaska. 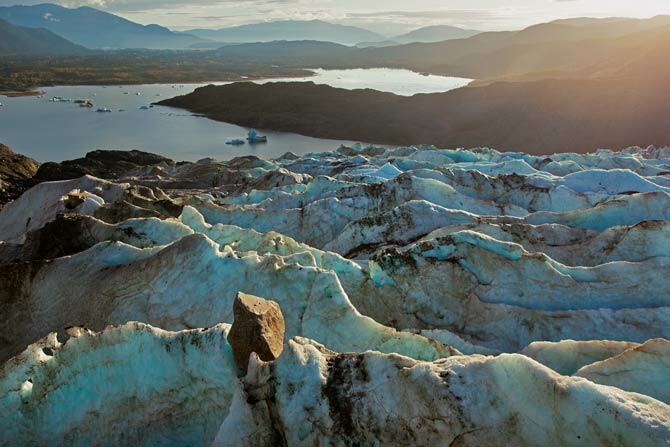 And while some may deem it impossible to take an uninspiring photo of the Alaskan landscape, one glance at these photos will show just how amazing both this state and these photographers truly are. 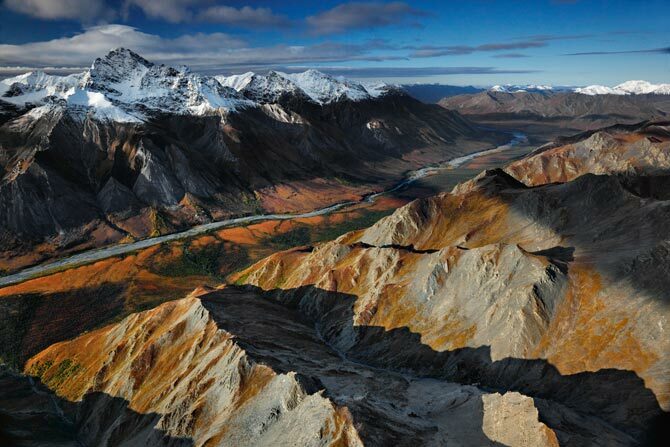 See for yourself why National Geographic photographers have always been in love with The Last Frontier. The old growth forests like the one shown here on Kodiak Island in southern Alaska create an other-worldly feel. 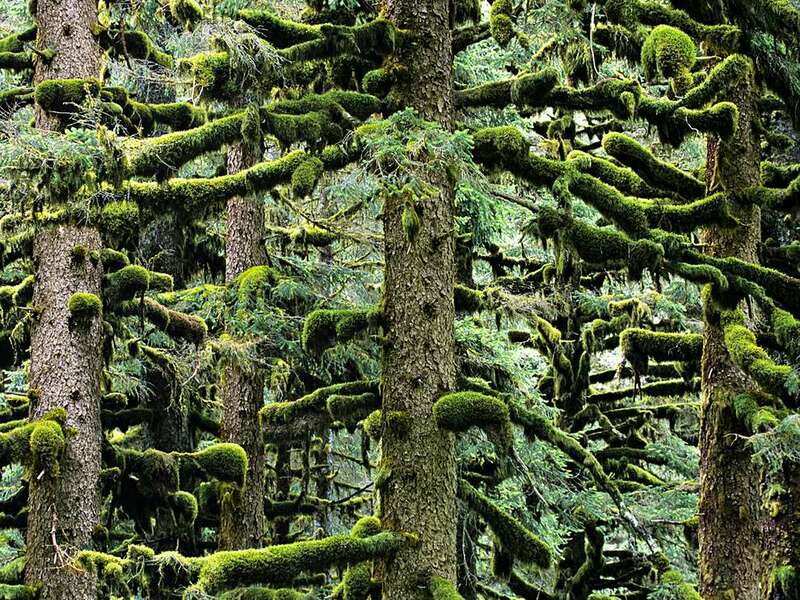 Moss covers the branches of spruce trees the entire way up. Due to its remoteness, Gates of the Arctic National Park is one of the least visited national parks in the country. Here the Tinayguk River winds through the Endicott Mountains. 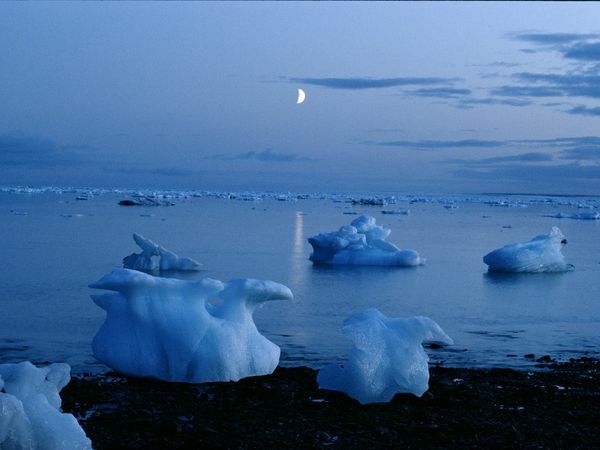 The moon hovers above the ghostly winter scenes of Icy Bay in Wrangell-St. Elias National Park. 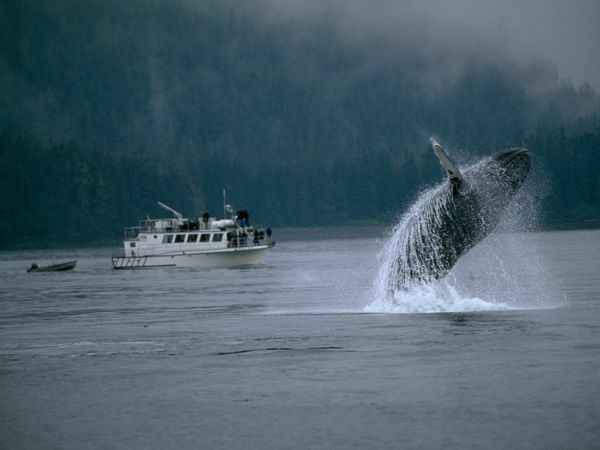 Whales put on a spectacular show from spring to fall in the waters around Alaska, which they use as a feeding ground before heading south in the winter. 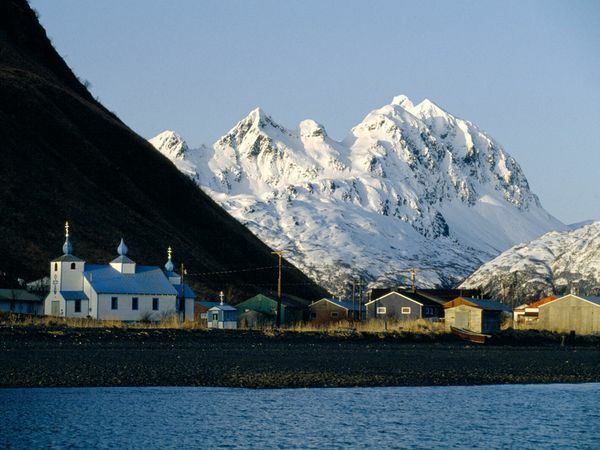 This may look like a setting out of a fairy tale, but it’s simply home to the residents of Old Harbor, a tiny fishing village on Kodiak Island. 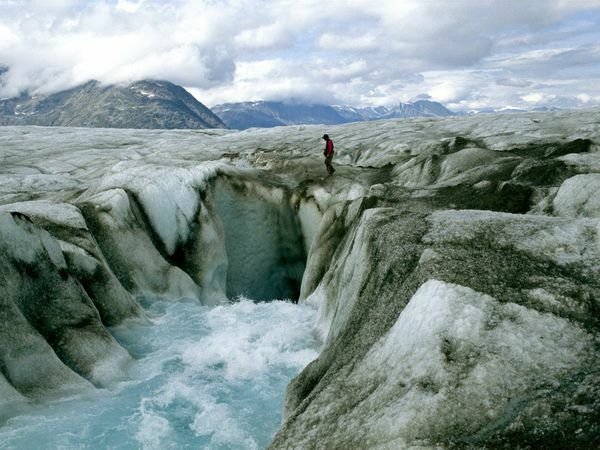 Summer warmth causes melt water to carve through the Tana Glacier, part of the Bagley icefield in eastern Alaska. 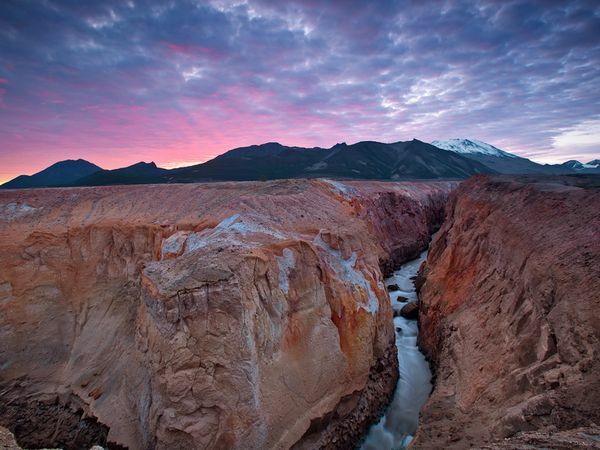 The Valley of Ten Thousand Smokes in Katmai National Park produces geological colors more reminiscent of the Grand Canyon than the Alaskan tundra. The reddish hues are the result of volcanic activity the park is famous for. Ever wonder how some rocks get to where they are? A massive boulder is slowly transported by the Mendenhall Glacier in Juneau, Alaska. 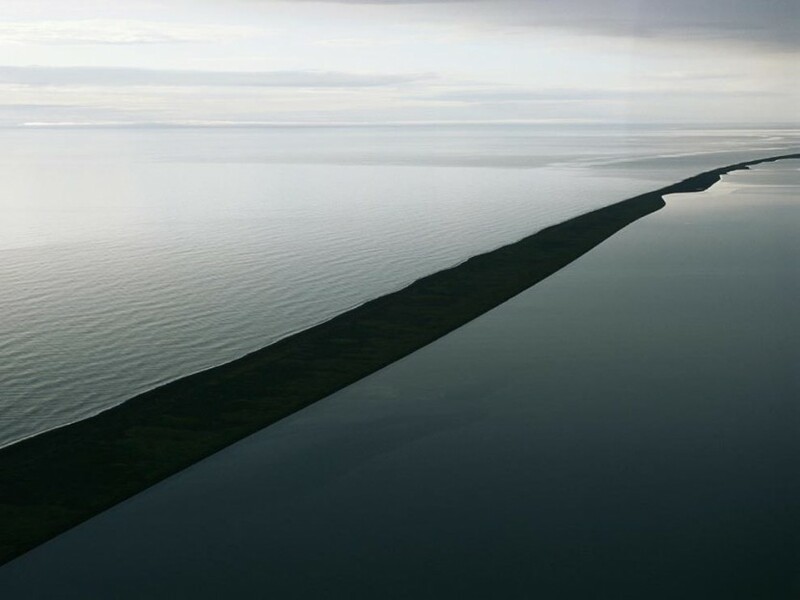 What looks like an abstract painting is actually a naturally-occurring sand bar off the Alaskan coastline.